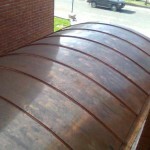 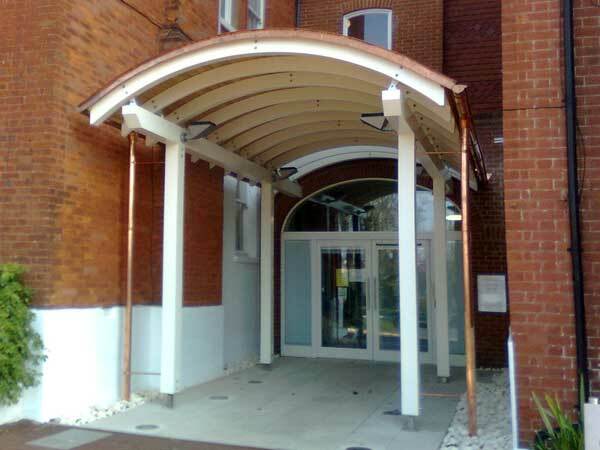 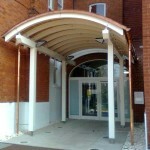 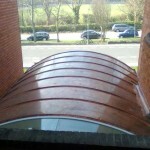 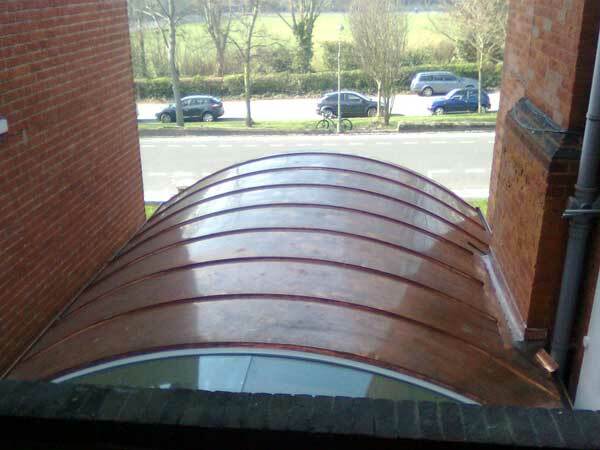 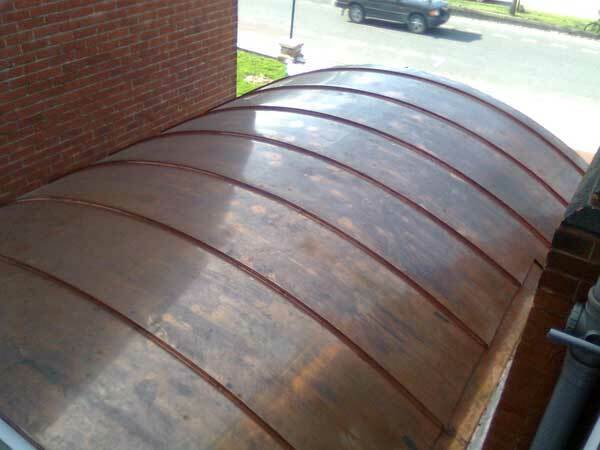 A new entrance porch to a Brighton, Sussex care home was specified to have a curved copper roof, visible to the residents in the rooms above. 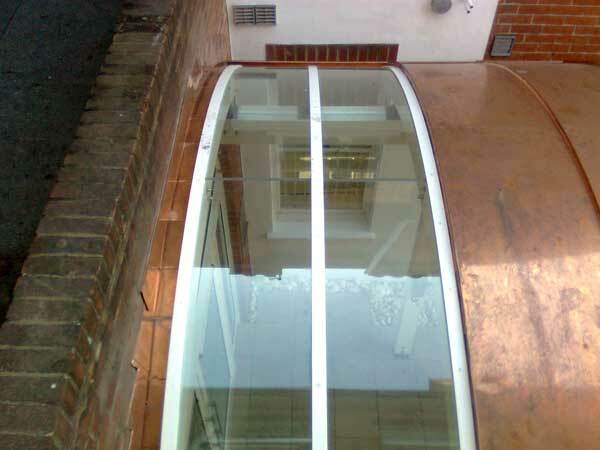 On the right-hand side, the projecting wall necessitated an inbuilt copper gutter and flashing in the middle section. 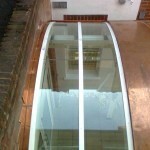 There is step flashing at the rear wall.